The term natural may be misleading. After all, poison ivy, snake venom and horse urine is natural. If an ingredient is classified as a natural ingredient then why not just name the ingredient. You can even find the term “Natural Flavors” on many “health” related products. One of the most interesting and disgusting natural flavors is derived from the castor sac of the North American Beaver (Castor Canadensis). This is not to be confused with castor oil or the old remedy Fletcher's Castoria. The castoreum, secretions from this sac is used to mark the territory of the beaver. These sacs are aged and used in artificial raspberry or strawberry flavoring. These “natural” flavors may be found in candy, drinks, ice tea, and yogurt. Castoreum is classified by the FDA as GRAS (generally recognized as safe). How in the world did someone come up with the idea? First you must remove them and wonder what they could be used for. Since they initially were not palatable then you must certainly conclude that aging would help. “Tastes like berries after it is two years old?” Castoreum has also been used in classic perfumes, perhaps for the phoneme effect. Which makes me wonder what tasting like strawberries has to do with attraction. Does it attract or keep the beavers away? Castoreum is actually an old remedy (Boericke’s Materia Medica) for hysteria that may explain how someone got the idea. It was also used for dysmenorrhea and painful tympanities (gas trapped in the abdomen-Greek). Have you ever left the city? 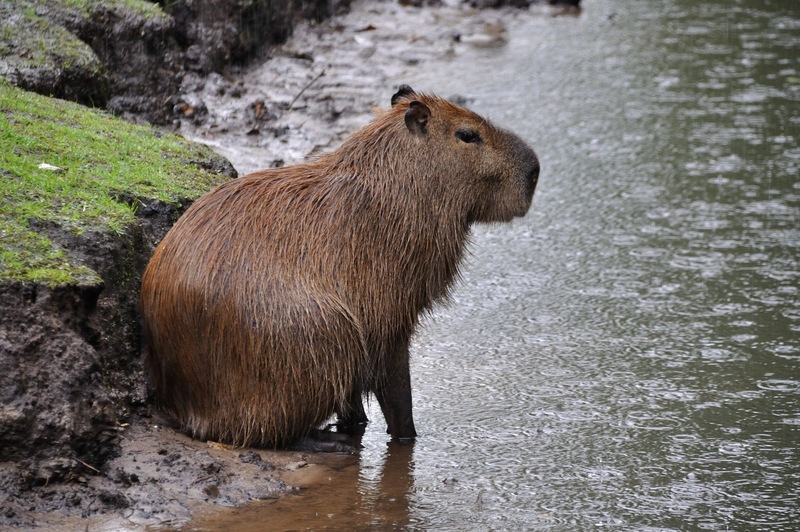 Because that picture is not a beaver, it is a capybara.